Guy: If ever there was a post that needed to be written for our blog, I think it would be this one. Even though eating nuts can come with some great benefits, there is often much confusion and misinterpretation too. 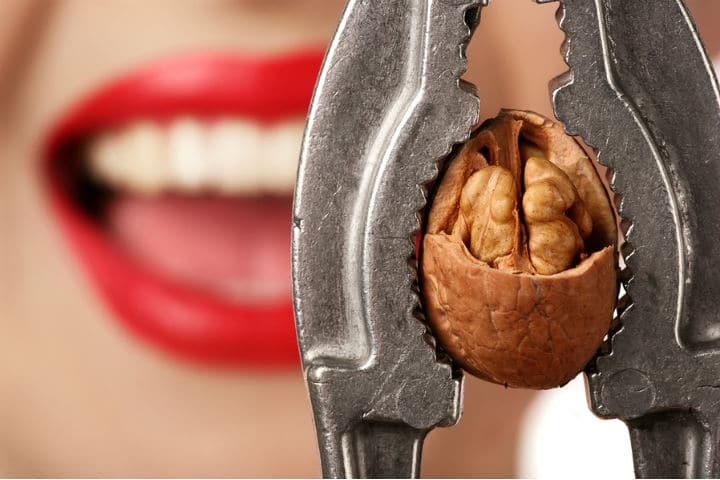 From fear of making us fat to the newly converted clean eater who has taken up ‘paleo’, who eats nuts by the bucket load as they’ve ran out of snack ideas, this post covers the do’s and don’ts of the nut world. Lynda: Are nuts really that healthy? Can they be eaten on a weight loss program? What about phytic acid? Are nuts too high in omega 6? Are nuts too high in carbs? How much is too much? These are questions I get asked all the time. Let me pre-empt this article by saying that this is a broad view. You may need to tweak your nut consumption to suit your individual needs. At the very least I hope to reduce your fears and confusion about these multicultural babes. Improve lipid profile;lower low density lipoproteins (LDL) and improve high density lipoproteins (HDL) levels. Before we get nut specific let’s chat about phytic acid (aka phytate). Phytic acid is found in many plants, especially the bran or hull of grains, nuts and seeds. Unfortunately humans cannot digest phytic acid which is a problem because phytic acid binds to minerals such as iron and zinc in food preventing their absorption. Phytic acid disrupts the function of digestive enzymes such as pepsin, amylase and trypsin. These enzymes are required for the breakdown of proteins and starch in our food. A diet rich in phytates, such as grains can cause mineral deficiencies. Some of the phytic acid content can be broken down by soaking and roasting. On a more positive note phytic acid may have anti-cancer properties and can be converted to beneficial compounds in the gut. How many nuts can I eat a day? Those with serious digestive issues may do better avoiding nut flour and nut butters. Even though nut flour does not contain much phytic acid because they are made from blanched nuts and phytates are found in the skin, many find it hard to digest nut flour in large amounts. Nut butters are often made from unsoaked nuts, making their phytic acid levels relatively high. For most people with a low phytic acid diet, a handful of well prepared nuts daily would be a great addition, providing many amazing health benefits as you’ll soon see. Which Nuts Should I Invest In? Here is a list of the most popular nuts along with their pros and cons. If you are simply looking for weight loss tips, scroll to the bottom of this post. Interesting fact: Macs have been shown to improve lipid profile; reduce total cholesterol, low density lipoproteins (LDL) as well as increase high density lipoprotein (HDL) levels and may reduce inflammation and prevent coronary heart disease. 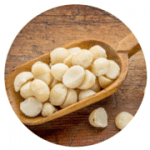 Macadamias have around the same amount of the health promoting monounsaturated fat, oleic acid as olives. Almonds in moderation are amazing. They contain quality protein, fibre, healthy fats, namely MUFA, LA and SFA. They are rich in vitamin E, B2, copper, l-arginine, magnesium and manganese. The downside to almonds aside from our inability to control the amount we consume is their high phytate content. Soaking for around 12 hours and or roasting can help reduce these levels or purchase skinless almonds where possible. Interesting fact: almonds and almond skins are rich in fibre and other components which support your gut flora (microbiome) and act as a prebiotic. Almond consumption can improve lipid profile, reducing total cholesterol and LDL. Almonds may also improve blood sugar balance and reduce appetite when eaten as a snack. 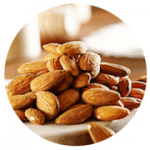 The l-arginine content in almonds offer many cardiovascular health benefits. The almond skin is typically rich in antioxidants (polyphenols, flavonoids). In fact approx 30g of almonds have a similar amount of polyphenols as a cup of green tea or steamed broccoli. Seriously great tasting, slightly sweet nuts that are mostly known for their selenium rich bodies. Per 30g they are comprised of 88% selenium. They are a good source of healthy fats (MUFA, LA, SFA). Are low in carbs and rich in other nutrients such as copper, magnesium, manganese and B1. A little bit goes a long way with these nuts, which is just as well because they are not the cheapest nut out there. 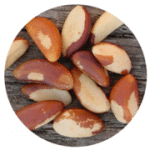 A modest brazil nut or two a day will give you a good dose of selenium. Selenium is an extremely important antioxidant essential for thyroid health and for a healthy immune and cardiovascular system. It’s worth mentioning that Brazil nuts are high in phytates however eating small amounts to get your selenium and nutrient dose should not cause a problem. Interesting fact: at small doses these nuts can improve selenium levels in the body. They are also a great anti-inflammatory food with the capacity to improve lipid profiles. Another dangerously delicious nut, creamy and sweet in texture and flavour. These nuts do not have as amazing nutrient profile as some of its nut colleagues but alas they do make for a great cheese substitute. Think raw cheesecake. They are a little higher in carbs than the other nuts averaging around 8.6g per 30g. 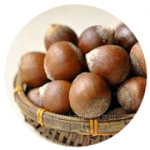 They contain healthy fats, quality protein, B1, copper, manganese, iron, magnesium and zinc. These guys are notorious for being over consumed and causing allergic reactions. 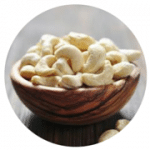 You can soak cashews for 2-4hours. Chestnuts are in a little league of their own. They are quite starchy in comparison to their fatty friends containing around 22 g of carbs per 30g. They are low in fat and protein and contain copper, manganese, Vitamin B6 and folate. They are however low in phytates and are quite flavoursome raw, roasted or steamed. I would treat these guys as you would a starch and have them in moderation. Hazelnuts, also known as filberts, are not a popular nut, unless you consider Nutella your hazelnut source. God knows why, because roasting these and sprinkling them onto salads makes for an an amazing experience. They might be worth your attention though given their nutrient profile. Hazelnuts are rich in healthy fats (MUFA, LA, SFA), manganese, copper, vitamin E and have a decent amount of magnesium and iron. 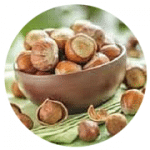 Hazelnuts have moderate levels of phytates and can be soaked for 8-12 hours. Interesting fact: Hazelnut skins are rich in antioxidants (polyphenols) with total antioxidant capacity richer than dark chocolate, espresso coffee and blackberries. As most nuts they have the capacity to improve cardiovascular health, lipid profiles, reducing LDL and may have an anti-inflammatory effect. Pecans are an underrated, under-consumed nut and another favourite of mine. These quirky looking nutrient giants are packed full of antioxidants, healthy fats (MUFA, LA, SFA) with a decent whack of fibre and nice dose of protein, manganese, copper, B1 and Zinc. Apparently pecans have the highest level of antioxidants of any nut. You can soak pecans for 6 hours. 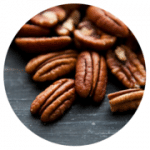 Interesting fact: aside from their impressive antioxidant status, whole pecans are fantastic for reducing inflammation and oxidative stress and improving lipid profile. Try them in your salads, have them raw or activated. Pecans are the nuts that make my raw brownies a healthy signature dessert. CLICK HERE for Healthy Pecan Chocolate Brownie Recipe. 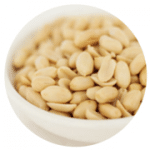 Pine nuts play a starring role in any good pesto and taste amazing, raw or toasted on salads. They are rarely eaten as a snack and are a wee bit pricey due to the labour intensive harvesting process. As most nuts, pine nuts contain healthy fats and other vitamins and minerals namely manganese, vitamin B1, copper, magnesium and zinc. You can soak pine nuts for a few hours. 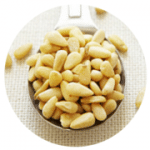 Interesting fact: Pine nuts may suppress the appetite and lower LDL levels. Some may be prone to “Pine mouth”, a condition caused by pine nut consumption that makes everything you eat taste bitter and metallic. Pistachios look aged and strange and often come with a barrage of complaints such as “there is not enough nut-meat in the shell” and “the darn shell won’t open”. I dare say though that they are worth the effort for both taste and benefits. They are low in phytic acid and you can soak them for up to 8 hours. 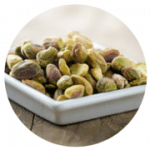 Interesting fact: Pistachios act as a natural prebiotic (even more so than almonds) because of its non-digestible food components such as dietary fiber. This fibre stays in the gut and feeds our good bacteria, stimulating their growth. They also contain phytochemicals that have the potential to positively improve the balance and diversity of your gut microbiome. Pistachios are also an excellent source of vitamin B6, copper and manganese and a good source of phosphorus and thiamin. Pistachios have the potential to significantly improve lipid profiles and blood sugar status so are a great addition to those individuals who already have or want to prevent diabetes and metabolic syndrome. 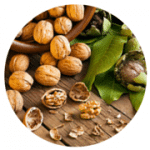 Many primal eating folk have ditched the walnuts concerned that they are too high in Polyunsaturated fats (PUFAS) and contain unstable linoleic acid. You may want to un-banish your banish though as walnuts really do have an impressive nutrient profile and eaten every so often can be a valuable and delicious addition to the healthy diet of most. Walnuts are a good source of copper, manganese and magnesium. They also contain protein, iron and as mentioned before are quite high in PUFA but if your diet as a whole has a significant amount of Omega 3’s and is relatively low in Omega 6 from other sources (seed oils etc) you should be fine. They are moderately high in phytates and can go rancid quite quickly so buy small quantities from a trusted supplier and store unshelled walnuts in the fridge or freezer. You can soak walnuts for around 4 hours. If you are feeling adventurous and do not mind the somewhat bitter taste eat the skin as up to 90 per cent of the antioxidants are found there. Interesting fact: Walnuts are capable of supporting cardiovascular health by improving lipid profile (reducing LDL) and reducing blood pressure. It would be fair to say most people reading this post has got stuck into a bowl of salted peanuts in their time! Would you believe these guys are actually legumes? Sadly there are a few things going against this legume/peanut. For starters peanuts are a common allergen for people. They contain aflatoxin (harmful to the liver) and are often heavily sprayed with pesticides. The salted variety of peanuts are also a domino food. Very easy to over consume if you’re not careful! I would avoid regular consumption. In a nutshell (Oh yes I just went there). Given the extensive positive research out there, I believe that a handful (around 2 heaped tablespoons) of well prepared, good quality nuts daily would be a valuable part of a healthy diet and in most cases support fat loss, cardiovascular health and blood sugar irregularities. In fact studies have shown that nut eaters tend to be leaner, more physically active and non smokers. The problem is stopping at a handful. If you struggle with self control when it comes to nuts try the following to avoid overconsumption. 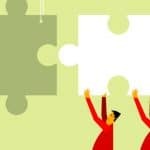 If your goal is weight loss and not just health maintenance, then you should bare in mind the following tips. – Be selective with which nuts you choose to stock: choose nuts with a decent amount of fibre and low carb such as almonds and pecans and stay clear of cashews. – Avoid nut butters: they are ridiculously good and rarely do we stop at a tablespoon, let’s face it. – Leave the skins on. 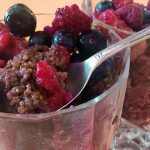 Its where you may find protective antioxidants and fibre. – Buy nuts with shells. If it takes time and effort to de-shell you are more likely to consume less. – Buy small quantities to avoid temptation. This also ensures your stash does not go rancid too quickly. – Rather than have a handful, get your quota by popping them on your salads, on top of fish and other meals. – Chestnuts: probably not a nut to eat by the handful given their starchy profile. Treat them as you would starchy vegetables in your diet. – They are small snacks. Treat nuts as you would snacks not a main course. Thanks for the article…great info about the properties &benfits of the different varieties however the key thing is this statement “For most people with a low phytic acid diet, a handful of well prepared nuts daily would be a great addition, providing many amazing health benefits as you’ll soon see.” How do we prepare our nuts “well” or where do we find and how do we identify “well prepared” nuts? Hi Zed, thank you for your comment. You could either purchase nuts that are already activated (soaked and dehydrated). These are available in many health food stores and even in certain supermarkets. If you want to prepare the nuts yourself I would recommend Sally Fallon’s book Nourishing Traditions. She has a section on this. I hope that this helps. Thank you for such great info. I am also wondering about nuts and oxalate content. Can you shed any light on that for me. I have had suspected high levels. Thanks Lynda, really helpful. Can we have the same for seeds? !